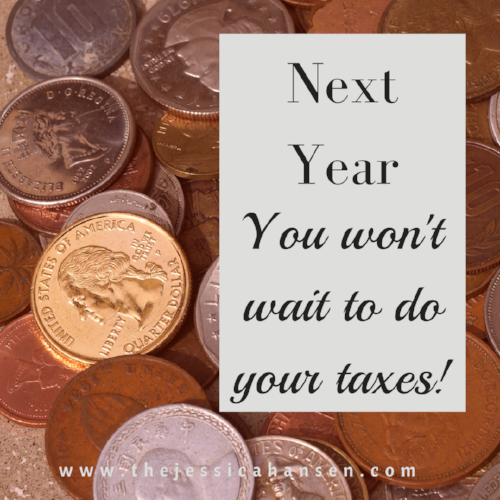 I'll admit it - I haven't been good at filing my taxes right away for the last few years. It's just not fun, any way you spin it. BUT - I have a super-simple system to make it SO MUCH easier next year! 1) Create a separate Gmail account to hold your receipts. For example, yourcompany.reciepts@gmail.com. By creating this email address, you've also just created a google drive account, and a google cloud print account. 2) Use Quickbooks (affiliate link, and you get it for $5/month - a steal!). Why? Because you can email your receipts to your account and they automatically process them for you! 3) Next time you have a receipt in your email, forward it to your Quickbooks account, and cc: your receipt Gmail account. Voila! No more lost receipts! Wait - what about the paper-receipts? Easy-peasy. Remember the email I sent about Evernote and Scannable? Scan your receipt (right away, before you shove it into your purse, haha), then email it to your receipts Gmail, right from your phone. If you want to take this a step further, set up a Zap (on zapier.com) to automatically print each receipt email to PDF on your Google Drive using Google Cloud Print! Now, when you hand off your taxes, you can literally drag and drop the files onto a thumb-drive and they're ready for your accountant. You just saved HOURS, and you'll never lose a receipt again!